With over 42 years experience in General Construction and being an owner of E.S.I. Construction (one of the nation’s leading Retail Construction Companies) for at least 14 years. 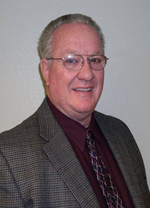 Steve previously served as an owner representative and construction manager for a well known major retail company. With this experience Steve has a perspective most General Contractors do not have. Being able to see your project both from an owner’s and a general contractor’s perspective can give you the edge you need to produce a quality project at a fair cost. Copyright © 2009 - 2012 hill-cc.com. All Rights Reserved.